After seeing the trailer for the movie CRAZY RICH ASIANS, I knew I had to pick up the book ASAP. Well. I...sorta liked it? I was into it enough to finish but there was a point about halfway in where I seriously considered quitting. The thing is, it started strong. There were so many cultural things I found fascinating, and the characters were interesting. Look at how much money they have and all the crazy ways they spend it! But then it got to be... I'm sick of reading about how much money they have and the crazy ways they spend it. I felt there was very little plot and it was just me reading about rich people doing rich people things. The book picked up for me around the wedding (which I thought would happen way sooner) but then the ending was a disappointment. I mean, every reason Rachel had for breaking up with Nick was totally legit and made absolute sense. But then he does one nice thing for her and suddenly none of those things matter anymore? I know there's a sequel, which might cover that stuff more, but I don't think I'll be picking it up. I still want to see the movie though. I think I'll actually enjoy the story more in movie form. 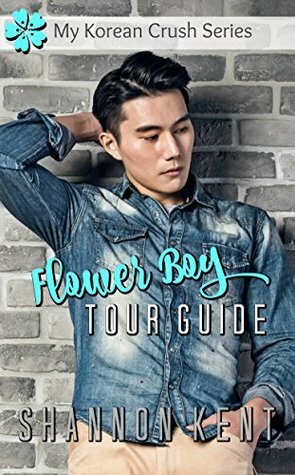 While reading that, I also read FLOWER BOY TOUR GUIDE by Shannon Kent. I've just barely gotten into watching K-Drama, so this was the first book I've read about K-Drama. I found it totally adorable. It was a super fast read and just really entertaining and cute. My last book of the past couple of weeks was DAUGHTER OF THE SIREN QUEEN by Tricia Levenseller, the sequel to DAUGHTER OF THE PIRATE KING. I loved this book just as much as the first. It's awesome reading about a bada** female pirate and I felt the stakes were even higher in this book than the first, making it even more exciting. Love Alosa and Riden and the crew and loved this duology!